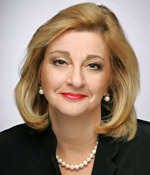 Davia Temin, CEO of Temin and Company and First Vice Chair of the Girl Scouts of the USA Board of Directors, has been selected for Trust Across America’s 2013 list of the Top 100 Thought Leaders in Trustworthy Business Behavior. Trust Across America is a think tank dedicated to studying, defining, and quantifying trustworthy business behavior. Temin writes a column for Forbes.com entitled “Reputation Matters” covering crisis, resilience, reputation, marketing and branding strategy, social media, women’s leadership, and corporate governance. In addition, she tweets (@DaviaTemin) regularly on these issues, and the Temin and Company website features a section devoted to pertinent thought leadership. She is also a frequent public speaker on subjects ranging from rebuilding trust, crisis and reputation management and resilience to building brands over social media, executive presence, and presentation training. She appears regularly on local, national, and global television and radio.